In a Nutshell: Financial education is an important area often overlooked by schools and other organizations, but EverFi is on a mission to bridge the gap by leveraging scalable technology to reach a broader audience. The company aims to help individuals make better financial decisions and improve the lives of those in financially distressed communities. EverFi’s mobile-first solution, EverFi Achieve, is geared toward bringing on-the-go financial literacy resources to adults. According to EverFi Co-Founder and President Ray Martinez, the key to the company’s impact lies in its national network of partners that facilitate its programs and curriculum. Washington Federal is about more than just turning a profit. One of the Seattle bank’s core values is giving back to the community in a variety of ways, including through financial education. The bank heads a number of community financial education initiatives, including its Save at School program and employee-led financial literacy classes. But in recent years, Washington Federal sought to find even more ways to boost its efforts in educating youth in financially distressed schools and communities in its service area. These efforts led to a partnership with EverFi, a national organization with a mission to leverage “scalable technology to build innovative, impactful education networks that empower people and transform communities.” Financial Education is just one of EverFi’s main focus areas, along with Conduct and Culture, Health and Wellness, Social and Emotional Learning, and STEM and Career Readiness. 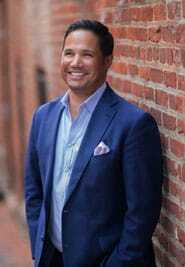 Ray Martinez is the Co-Founder and President of EverFi. “We started with the idea that in order to reach students and families at scale, regardless of where they live, you need to have a technology solution that could engage with end users,” said Ray Martinez, Co-Founder and President of EverFi. Martinez also emphasized the importance of being able to track and measure the progress of consumers who participate in EverFi’s programs. Together, Washington Federal and EverFi created the Washington Federal Scholars Program, which offers financial education to select high schools in the area at no cost. The goal of the program is to help students develop better financial decision-making skills, and help close the financial literacy gap between affluent and financially disadvantaged families. According to EverFi, the program has reached more than 8,300 students who have completed more than 52,000 learning modules over a course of 37,000 hours. Additionally, the bank measured an 87% improvement in student financial knowledge after completing the EverFi curriculum. This is just one of many examples EverFi offers that demonstrate the impact of its financial education programs. Martinez said he remembers being shocked when he read a 2015 Washington Post article that reported that for the first time in 50 years, the majority of children in public schools were eligible for free or reduced-price lunches because their families were below the poverty line. He said understanding how financial education can play such a crucial role in helping to lift people out of poverty is why EverFi strives to reach people of all ages, but the most effective lessons start when people are young. “We want to make sure that every elementary school student, every middle school student, every high school student has access to an engaging and personalized online learning experience around personal finance,” he said. Martinez said 43% of 18- to 26-year-olds wish they had learned more about investing in high school. Also, many young people have a negative view of investing in the stock market and do not plan on saving for retirement until age 28. “I think we need to reach this audience younger and need to reinforce savings and security education and give them the tools and knowledge to make really good long-term decisions,” he said. EverFi software is used in more than 15,000 public schools in the U.S.
EverFi implements its philosophy through web-based learning programs that live in the cloud. Martinez said the programs are highly interactive and engaging for the end user, and they cover important financial topics including savings and retirement, saving for college, and the importance of credit scores to long-term wealth building. Martinez said EverFi employs more than 200 full-time implementation managers across the country who train teachers on how to integrate the company’s digital tools into their curriculum. In addition to programs geared toward students, EverFi also uses its digital solutions in curricula for consumers in general and small business owners and entrepreneurs. It even offers in-person education options for an extra level of personal attention. Martinez said EverFi offers a mobile-first financial education tool called EverFi Achieve that is specifically for busy adults who are looking for knowledge and information at their fingertips. “EverFi Achieve teaches adult consumers everything from how a mortgage works to emergency savings education, overdraft prevention, how an auto loan works, or how you might start thinking about building savings,” he said. 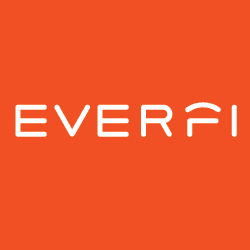 EverFi Achieve is a mobile-first financial education product geared toward adults on the go. According to Martinez, 61% of internet users do their banking online, and 43% of adults have both a mobile phone and an online bank account. Offering a mobile solution is important because more and more banking services are available to consumers without the need to make a trip to their local branch, he said. Martinez said it is important to reach the young adults in Generation Z — those born between the mid-1990s and mid-2000s — as early as possible, and mobile is a key way to accomplish this goal. He said post-2008 financial crisis trends reveal that Generation Z is less likely to borrow than any other generation. This fact, coupled with young people’s more negative view of investing in the stock market could lead to a long-term competitiveness issue for the U.S.
“We really need to reach this audience younger to reinforce savings and security education and give them the tools and knowledge to make really good long-term decisions,” Martinez said. Today, more than 15,000 public schools across the country are using at least one of EverFi’s financial education learning programs in some capacity, and at no cost to the schools. Martinez said rather than charging the schools for EverFi’s products, the programs are funded by various foundations, nonprofits, banks, and credit unions that license the software for institutions they care about. 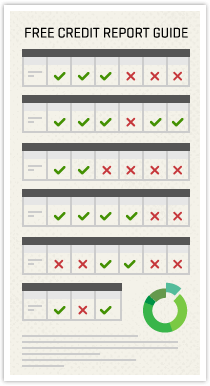 EverFi’s Financial Capability Network is crucial to the company’s education mission. Martinez said EverFi’s community partners play an important role on a more granular level as well. EverFi strives to make financial education fun and relevant for young people, so once students complete certain programs, EverFi partners with a community organization to hold a certification ceremony. The ceremonies feature guest speakers and local education leaders. Leaders from financial institutions, state superintendents, governors, and members of the House Financial Services Committee have all participated in these community events. “The strength of this network is that there’s not only this valuable technology that’s being provided to local schools and to the teachers, but there’s this community involvement as well,” Martinez said. With partners like Washington Federal showing real-world results from its programs, EverFi is certainly achieving its mission to use technology to increase financial education. Finally, Martinez said EverFi will also be focusing efforts on expanding the EverFi Achieve product in the coming year, with up to 100 topics available, with animations, gaming, and videos built into the topics.